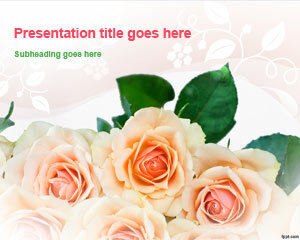 Free Bunch of Roses PowerPoint slides have a bouquet in the master slide. 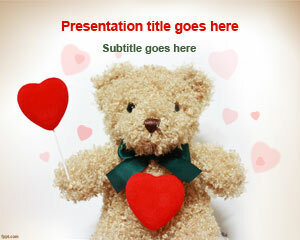 The combination of colors is light, romantic, and have a soothing effect to them. 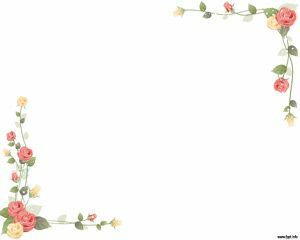 If you are planning to give a gift to your loved on on Valentine’s day or about to celebrate your wedding anniversary, this is the platform to brainstorm all those ideas before the important day arrives. 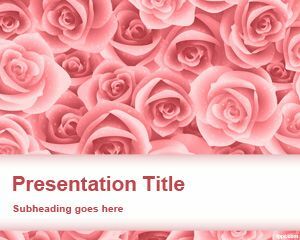 Figure out a way to make the day memorable for them, and fill it up with memories of blooming flowers through free backgrounds for PowerPoint. 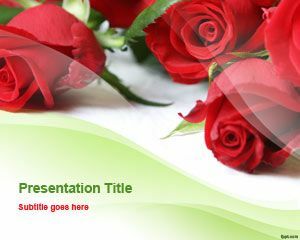 Download Bunch of Roses PPT backgrounds for OpenOffice Impress and Microsoft PowerPoint 2008 (Mac). 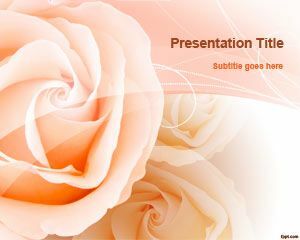 This is a simple slide design with a romantic touch to it. The font color is alternated between red and green. 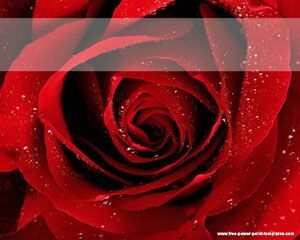 If you are a Florist, then share decoration ideas with others, such as how to make gift baskets, and how to select the most beautiful roses with Red Roses PPT slides and free Bloom Flower PowerPoint background.